This paper is a follow up to “Belohlavek, Vychodil: What is a fuzzy concept lattice?, Proc. 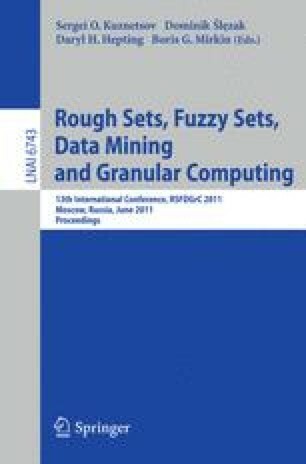 CLA 2005, 34–45”, in which we provided a then up-to-date overview of various approaches to fuzzy concept lattices and relationships among them. The main goal of the present paper is different, namely to provide an overview of conceptual issues in fuzzy concept lattices. Emphasized are the issues in which fuzzy concept lattices differ from ordinary concept lattices. In a sense, this paper is written for people familiar with ordinary concept lattices who would like to learn about fuzzy concept lattices. Due to the page limit, the paper is brief but we provide an extensive list of references with comments. Supported by Grant No. 202/10/0262 of the Czech Science Foundation.